plus many other appearances dates to be confirmed. 2nd Friday at the Wambat Hotel. 10.00am Start continues throughout the day and into the evening with fine bush music band. Walk Up Artists throughout the day. 7th April 12m/day-6.00pm Main Street Grenfell. 5th -14th May Great Ocean Road Tour,Vic, South Australia and Outback N.S.W. Coach Concerts. 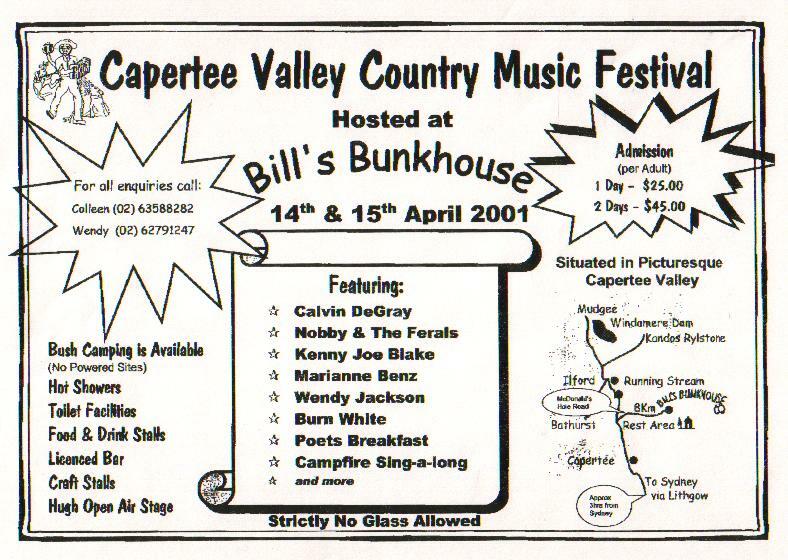 Bill's Bunkhouse for more information please phone:Colleen 0263588282 or Wendy 0262791247. 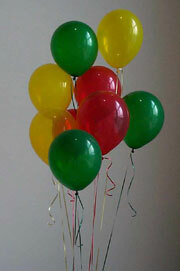 These Functions are held at the Parkes Services Club. Parkes Spectacular Talent Quest September 27th -30th. Contact Judy Morrison For further infomation or email me. These functions are held every two months starting at 7pm walk up artists on the night.Please come along and join in the fun and dont forget to bring your friends. Wagga Wagga Country Music Club Talent Search NSW. 07492772821 to find out more. See you all there for a great time with music and friends. 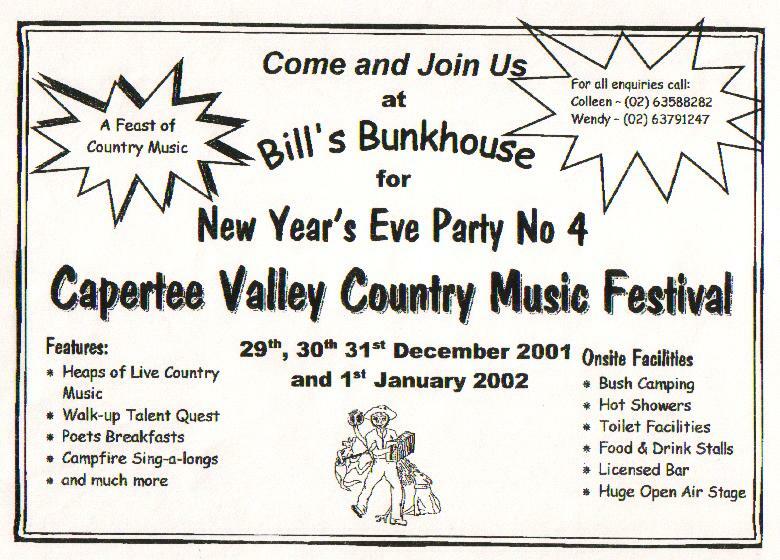 3rd November 2001 Mathew Piper Fundraiser Forbes Showground. 9th-31st Gold Coast-to Cairns "On the road Tour"
Album Launch:" Another Day In Paradise"